We’ve been extremely busy this week with three photo shoots: A head shot; some “after” shots of a new kitchen design by Everything Under the Roof; and Product photography for Joanna at her chic boutique in Woodbury, Connecticut. 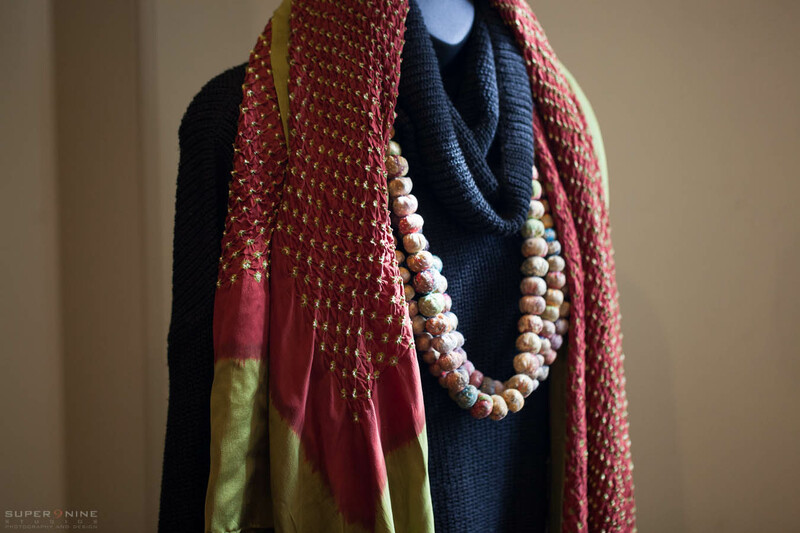 It was a feast for the eyes if you like to wear bright fabrics, and wonderful silky and soft textures. We spent a half day there which was just a tease – there’s SO much, we’d love to go back and spend a week shooting! 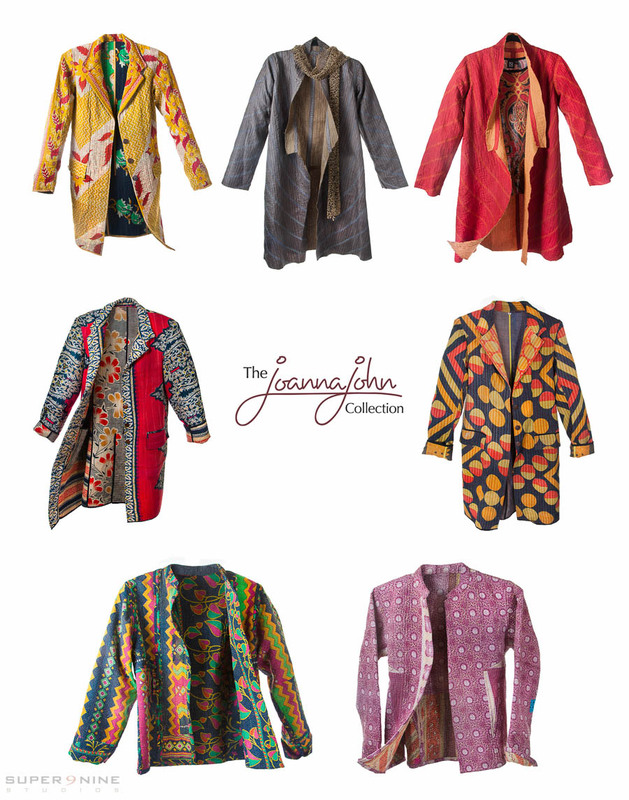 Below are some of the one-of-a-kind jackets, beads and scarves that are typical of the Joanna John Collection. For the jackets, our main goal was to get a pure white background in-camera (to keep the post-processing down to a minimum), while maintaining the details and bright colors of the clothing. We had a 4-light setup against a white seamless backdrop which worked perfectly! 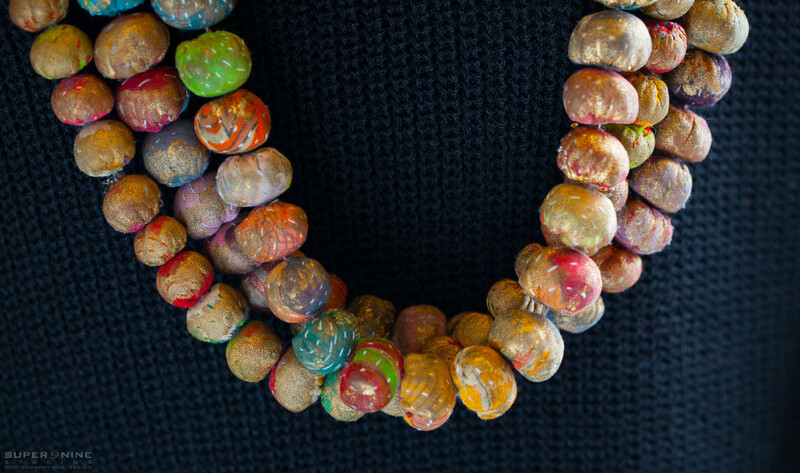 Now if we could just invent invisible hangers… Here’s a link to Joanna’s site for a glimpse of her dazzling shop. Thanks so much to David Rosenthal and Barbara Gold of Mission Branding for sharing their client with us!